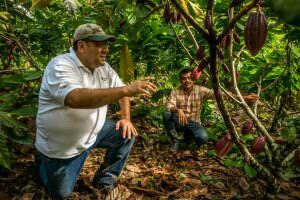 The Rainforest Alliance welcomes feedback from all stakeholders as these inputs help inform our continued efforts to improve conditions on farms in the 40+ countries where we work. Your feedback is a vital tool for helping us to improve the program and promote positive change in agriculture. Please see the various categories below to identify the team that can best respond to your specific question or concern. If you are still unsure of who to contact, please email sas@ra.org. Queries from farm workers who feel that their employer’s communication and grievance-mechanism processes have failed to address their concernsIf you do not know which certification body carried out a specific certification, enter the name of the certified farm or farm group into our Certificate Search Tool. If you are still unable to determine the certification body, please contact sas@ra.org. Please provide us with the following information: a clear description of the issue; the names of the pertinent certification body, auditors, and/or certified farms or groups; the location of the farm and the crops produced, if applicable; and all supporting evidence, including documents, photographs, videos, and links to webpages. We also ask that you send us your contact information so that we can inform you of the results of our inquiry into the matter. Your name and contact information will be kept strictly confidential. If you have questions, feedback, or suggestions about the Sustainable Agriculture Standard, its interpretation and application, and/or our certification requirements – please email sas@ra.org. We appreciate your decision to give us feedback on suspected misuse of the Rainforest Alliance Certified™ seal or other trademarks, non-compliance with Chain of Custody, or non-compliance with traceability or other policies. The information you provide will be kept strictly confidential and we ask that you give us as much detail as you can, including places, approximate dates, products, or companies you’re concerned about, as well as your name and email address so that we can follow up. However, anonymous complaints are also welcome. Please contact us at RAC@ra.org.